The global LED displays, lighting and fixtures market is majorly driven by the power efficiency and high picture quality offered by these LED lightings. The heightened awareness about the need to conserve energy will ensure the continued demand for LED displays, lighting, and fixtures. The growing awareness about the high energy efficiency provided by LED displays, lighting, and fixtures is expected to boost their demand. Moreover, these lightings have longer lifespan fueling their adoption. The growing construction of green buildings will further the growth of this market. The retrofitting of existing buildings so as to make them green, will further propel the demand for LED displays, lighting, and fixtures. The end-use applications of LED is wide, including PCs, LED TVs, signs, billboard lightings, automotive lighting, and general lighting. LEDs are used extensively in devices as indicator lamps. All these factors are slated to drive the global LED displays, lighting and fixtures market during the forecast period from 2017 to 2025. Players in the global market are striving to achieve product innovation. Thus, extensive investments are being done on research and development by players, especially the leading ones, so as to ensure their string foothold in the market, which is turning more competitive day by day. As the market is fragmented, there exists many players which are estimated to fuel competition further. More and more players are venturing into the global LED displays, lighting and fixtures market as the market is seemingly attractive and has a bright future. Light emitting diode (LED) is a semiconductor source of light, the earliest use of it can be traced back to indicator lamps used in electronic devices. This was one of the first instances of replacing the conventional incandescent light bulbs with newer technology. Modern versions of LED displays, lighting, and fixtures are visible across ultraviolet, infrared, and visible wavelengths. They have higher brightness compared to their predecessors, which emitted not better than low intensity red light. 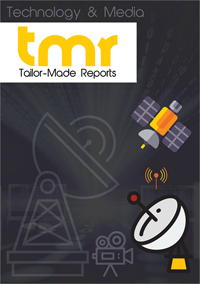 In this report, TMR Research delves into analyzing the various opportunities for the global LED displays, lighting, and fixtures market. It covers the growth drivers and restraints influencing the market’s trajectory and also presents insights into the manufacturing cost structure, supply chain, and investment feasibility. Over the last few years, a paradigm shift is witnessed in the global LED displays, lighting, and fixtures market due to the rising concerns about energy conservation and the increasing demand for efficient lighting solutions. LEDs offer several benefits over incandescent lighting such as lower energy consumption, longer lifetime, improved physical robustness, and compact design. Besides these, LED displays also offer high quality images. Spurred by these factors, the demand for LED displays has considerably accelerated in the last few years. However, the technology is available at a higher price tag and requires more precise heat and current management compared to the compact fluorescent lamp source, which provides similar output. While these are identified as major restraints, the market is also inhibited by the lack of awareness among underdeveloped countries and high initial cost. Nevertheless, as manufacturers gears up for the mass production of LED lighting fixtures, the prices of the same are likely to reduce in the near future thereby providing unique opportunities to the global LED displays, lighting and fixtures market. Among the key regional segments of the global LED displays, lighting and fixtures market, North America is expected to exhibit persistent opportunities. However, over the course of the forecast period Asia Pacific is forecast to report a higher CAGR. The report includes an in-depth discussion of the various factors supporting or inhibiting the market’s trajectory across the key regional segments. Since regulatory standards observed by these countries plays a crucial role in determining the success of any market, the report also presents analysis of their influence on the market for a holistic overview. Philips Lumileds Lighting Co., Sharp Corporation, and Cooper Lighting Inc. are some of the leading players influencing the market forces prevalent in the global LED displays, lighting, and fixtures market. Hence the report also includes profiles of some of the leading companies operating therein, covering their financial reports, marketing strategies, and their evolution over the past few years. The report also uses SWOT analysis to determine their strengths and weaknesses. This is an in-depth analysis, which also provides insights into the potential threats and opportunities that the market players may face during the forecast period.